Four months after the mostly-microapartments proposal resurfaced for 5952 California SW [map], it’s received key city approvals. The project description is the same as last December, when it went into a second round of Design Review, 2+ years after the first – “29 small efficiency dwelling units and 6 apartment units (35 units total). Parking for 5 vehicles proposed.” Today’s publication of the notice for this opens a two-week appeal period; the notice explains (PDF) how to file one. Meantime, the property was re-listed for sale a week and a half ago (PDF), with the notation “back on market,” asking price $1.8 million, a bit less than its August 2017 listing. New in city files: An early-stage proposal for an apartment building at the southwest end of Harbor Avenue SW, just north of the West Seattle Bridge. The documents in city files say what’s being considered is a five-story, 75-apartment building that would have 38 offstreet parking spaces in a garage accessed off Harbor. The parcels are listed in documents as having the street numbers 3405, 3411, and 3417 Harbor; the latter, the address at which documents are filed, currently holds a small commercial building. The site’s current zoning is for 40 feet in height but under the HALA MHA upzoning that’s about to take effect, 55 feet will be allowed. The area is a mix of commercial and residential, across the street from Emerald City Pet Rescue and ActivSpace, with houses to the west and condos to the north. 8415 DELRIDGE WAY: This 14-townhouse plan has a community meeting set for 4:30-5:30 pm next Monday (April 8th) at Southwest Library (9010 35th SW). There’s also a basic webpage set up for it, offering other ways to provide early feedback on the design, including this survey. 1606 CALIFORNIA SW: 12:45 pm Saturday, April 13th, is when you’ll be able to drop by the West Seattle (Admiral) Library for information on this 8-unit rowhouse project planned to replace a house and fourplex at 1600-1606 California SW. Here’s a webpage for the project, also with a link to a survey you can answer. Thanks to the reader who spotted it and sent the photo – since there’s no online mention yet in the city system. We have reported on the project before. The poster says construction is not expected before 2023 and notes that commercial space is planned as well as 65 microapartments, with no offstreet parking. VIDEO: HALA Mandatory Housing Affordability upzoning finalized by City Council. What happens now? People must income-qualify for affordable housing; for example, an individual earning less than $42,150 will pay no more than $1,128 for a one-bedroom unit, while a family of four earning less than $60,200 will pay no more than $1,353 for a two-bedroom unit. The upzoning affects commercial and multifamily property citywide, and some single-family-zoned property in or adjacent to urban villages. You can look up how – or if – the changes would affect any specific part of the city by using this map (but be aware that it doesn’t reflect some changes that were made toward the end of the review). Today’s votes followed speeches by most councilmembers; West Seattle/South Park’s Lisa Herbold said that while she supports MHA, she remains deeply concerned that it will cause displacement, and her separate proposal on that front is pending. Another who spoke at length was citywide Councilmember Lorena González, whose remarks included how much she enjoys living in The Junction as a dense neighborhood with good access to transit, businesses, and services. Next step is for Mayor Jenny Durkan to sign the MHA legislation into law (the bills finalized today are linked in the council news release); she issued a statement late today saying she’ll do that before the week is out. The legislation would then become law a month later. 3084 SW AVALON WAY: This 35-microapartment, no-offstreet-parking project is going through a second round of the final (“recommendation”) phase of Administrative Design Review. Here’s the packet. It notes that the design has been changed somewhat to respond to the townhouse project to the north, which the same design firm, Cone Architecture, is handling, as well as to a variety of critiques offered by city staff in previous phases. Some of those are focused on the transition between the project and the neighborhood behind it. If you have comments, email the assigned city planner at joseph.hurley@seattle.gov. Here’s the packet for half of the site. The official review notice hasn’t been published yet so this is basically a preview. You can email comments to the assigned planner at sean.conrad@seattle.gov. 5:38 PM: Click into that stream and you’ll be watching the event we’re at City Hall to cover – the City Council’s last big public hearing before its vote next month on HALA Mandatory Housing Affordability upzoning. (You can follow along with the agenda, and its relevant materials, here.) It’s been eight months since the council’s hearing in West Seattle; this one is for the entire city, and the chambers are full – with five of the 9 councilmembers here (Lorena González is chairing in the absence of vacationing committee chair Rob Johnson; also here are Lisa Herbold, Debora Juarez, Teresa Mosqueda, Kshama Sawant). We’ll be chronicling highlights as they happen. First to speak is a representative from the SEIU. “Middle- and low-income workers will continue to be priced out of the city” if there’s not more housing stock, she says, expressing support for HALA MHA. Third and fourth are two members of 350 Seattle’s “housing team.” They say “housing is a climate issue” and express relief that “MHA is so close to the finish line.” They express opposition to some proposed amendments including the ones that would reduce the level of upzoning in some areas (including part of West Seattle). Sixth, a representative of the city Planning Commission, in favor of MHA, who says they’re excited about its potential to “distribute more development capacity” to neighborhoods that could use it. Seventh, the first opponent to speak, who says “tech bros” who are “strip-mining the city” and “venture capitalists” among others will continue to “pour in” and redevelop the city. She says that she and her husband feel they are being “pushed out of Seattle” so it’s “time to leave.” She draws a smattering of boos. Eighth, an opponent who calls MHA “fundamentally flawed.” She also says she supports Councilmember Herbold’s anti-displacement proposal (announced yesterday). She wants to see neighborhood planning restored. 6 PM: Ninth, a speaker who says that MHA will lead to more displacement. So she wants the 23rd/Jackson urban village to not be upzoned. She specifically appeals to CM Sawant, saying her district, 3, has had “sacrificial lambs” already displaced. She draws strong applause (we should note that the pro-MHA speakers had drawn some applause too). EARLY DESIGN OUTREACH FOR PROJECT @ EX-CHARMANN APARTMENTS: As we first reported last year, townhouses are proposed for the site of the former Charmann Apartments – demolished last October – at 5917 California SW. The 9-townhouse project is now in the city’s Early Design Outreach process, and a drop-in discussion is set for 2 pm Saturday, March 9th, at High Point Library (3411 SW Raymond). You can also comment by going here. COMMENT TIME FOR 9037 35TH SW: We’ve also reported previously on a microapartments-and-retail mixed-use project to replace a house and small commercial building at 9037 35th SW – four stories, 26 small-efficiency dwelling units, 6 offstreet-parking spaces, plus retail. The permit application is now open for comments through March 4th; the notice is linked in the city’s newest Land Use Information Bulletin. COMMENT TIME FOR 4 ALKI HOUSES: A land-use-permit application is in for a plan at 2530 55th SW, four 4-story houses with 4 offstreet-parking spaces on the sloped site above, which you might recall as the site of a slide back in 2013. Comments on the application are being accepted through February 27th. ROWHOUSES INSTEAD OF APARTMENTS IN NORTH ADMIRAL: Three years after a 16-unit apartment building won Design Review approval for 1606 California SW, a different project is proposed. City files show 8 rowhouse units are now proposed to replace a fourplex and house at the site. Councilmember Lisa Herbold (District 1, West Seattle, South Park) will introduce an anti-displacement ordinance that would authorize additional displacement mitigations for housing projects located in South Park, Rainier Beach, Othello, Bitter Lake, and Westwood-Highland Park. These neighborhoods have been identified as having a high risk of displacement and low access to opportunity, according to Growth and Equity: Analyzing Impacts on Displacement and Opportunity Related to Seattle’s Growth Strategy, in the Comprehensive Plan Seattle 2035, an analysis conducted by the Office of Planning and Community Development. “I appreciate Mayor Durkan’s efforts to address the displacement impacts of development by proposing to introduce legislation that the Council requested in 2017 by Resolution 31754. As described in the March 2018 status report to the Council, a community preferences policy will be useful for our non-profit developers. Nevertheless, we also desperately need a tool to address the displacement that occurs when for-profit developers build. Displacement is a challenging issue and we need many tools to address it,” said Herbold. Councilmember Herbold will this week send the proposed bill to the Council’s Introduction and Referral Calendar. Councilmember Herbold has requested that the Council hear this bill concurrently with the MHA Citywide legislation. “I’m proud that the Council has a long legislative record of its commitment to address displacement. Now it’s time to act again,” Herbold continued. “I have, over the years, expressed my great concern that the City describes MHA as ‘housing displacement mitigation tool,’ but has badly analyzed how development removes more affordable housing than the resources from MHA are sufficient to replace. “For example, in the case of the University District MHA upzone in 2017, the City estimated that only 40-275 units of existing affordable units of housing would be demolished over 20 years. The EIS estimated likely demolition by identifying specific redevelopable parcels and quantifying their existing housing (zero, for parking lots and commercial buildings). The “full build out” scenario wherein construction occurs on all redevelopable parcels to the full capacity of the proposed rezone was estimated to result in the demolition of 275 homes over 20 years. In less than 2 years, based upon a Council Central Staff analysis of new development projects that are currently in some stage of having their Master Use Permit issued or Early Design Guidance reviewed and that are subject to the new zoning put in place in 2017, 96 units of affordable units are already planned for demolition. This announcement comes on the eve of the council’s HALA MHA public hearing, 5:30 pm Thursday at City Hall downtown (600 4th Ave.), as previewed here Monday. HALA UPZONING: Last major public-comment hearing Thursday. Will the plan change before final vote? … I have been working with community members in each of the Urban Villages in District 1, specifically South Park, Admiral, West Seattle Junction, Westwood-Highland Park, and the Morgan Junction. They have helped me to develop a number of amendments that will, if passed, make changes to the current proposal to reflect the goals held by the community organizations representing those communities, while still implementing MHA in all areas proposed from MHA implementation. Specifically, I am proposing five amendments with the Junction urban village that would upzone those five areas currently zoned as Single Family to Residential Small Lot (RSL), as opposed to the Executive’s proposal for Low Rise 1, 2, and 3 zoning. The reasoning for this is that the Junction has been identified as the location of a future light rail station; however, the specific alignment and location of the station have not yet been determined. Once that is determined, it will become more clear which properties Sound Transit will need to acquire. This is important because increasing development capacity in these locations may increase the value of the land, and Sound Transit is required to pay for the highest and best use of the land. Sound Transit is already needing third party funding for the development of these lines, and I do not want to see that problem exacerbated. The Community has expressed a desire for additional zoning capacity, but in accordance with the light rail station. To that end, the Office of Planning and Community has committed to beginning a neighborhood planning process in 2019 and 2020. Additionally, three other amendments I have proposed, one in the Morgan Junction and two in the Westwood-Highland Park urban village, would provide better stair-stepping and avoid harsh transitions from one zone to the next. If you can’t make it to Thursday’s hearing (5:30 pm in Council chambers, 600 4th Ave.) you can also voice your opinion to councilmembers by emailing council@seattle.gov. TIMELINE: After Thursday’s hearing, the council expects to vote on amendments and other related bills next Monday afternoon (February 25th), after their regular weekly afternoon meeting, around 2:30 pm. The final vote on HALA MHA, amended or not, is expected during the 2 pm council meeting on March 18th. NOT SURE WHAT HALA IS? Herbold’s aforementioned weekly update includes a short primer/recap. The city’s interactive maps will show you how any particular property will or won’t be affected by the upzoning proposals, as they stand now. 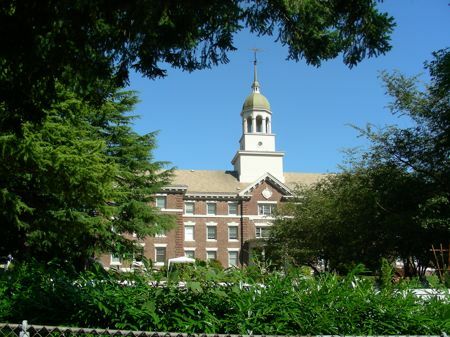 The Kenney is West Seattle’s original senior-living community. The Kenney has been a beloved icon, serving seniors in West Seattle since 1909. Representatives of The Kenney are proud to say that what started as one couple’s dream is now one of the most respected nonprofit retirement communities in the region. In 2015, The Kenney affiliated with Heritage Ministries for additional stability. Through this partnership, The Kenney can ensure that it is well positioned for future stability and growth as a 501c3 nonprofit Continuing Care Retirement Community (CCRC), sometimes known as a life-care community. With three distinct living levels, each with services and features designed to support current and changing needs, residents may enter The Kenney in any of the three living levels as appropriate. Gourmet dining service offers three daily meals, with a focus on organic and locally sourced delicious foods. With a lifestyle free of home maintenance, residents are able to take full advantage of many life-enriching opportunities to socialize, enjoy fitness, engage in the arts and current events, and get out and about with transportation for shopping, events, and appointments. The Kenney is a perfect home for an active, relaxed lifestyle in the heart of West Seattle, with its many parks, beaches, restaurants, and shops close at hand. Independent living is offered in apartments located in the Ballymena, Seaview, and Sunrise buildings. The Kenney offers more than 100 beautifully appointed Independent Living Apartments ranging from the coziest studio to spacious 2-bedroom apartments with patios and stunning views. They have also recently announced plans to build 5 row houses which will include private garages, with construction slated to begin in late 2019. The apartments and row houses come in a variety of sizes and are customized with choices of finishes, appointments, and features to suit individual tastes. Entering The Kenney at this level allows the resident to experience the full benefits of community living, with a safety net of support services for current and future needs. The Lincoln Vista apartments offer a unique residential experience of maximum independence and privacy, with staff ready to offer support and services as needed 24/7. Studio and one-bedroom apartments include kitchens and accessible bathrooms. Services include three meals daily, weekly housekeeping, laundry service, and activities. A team of licensed nurses and nursing assistants offers services adjusted to the need of each resident, including a higher level of care that may help a resident avoid the need for long-term nursing-home care. Monthly fees correspond to the size of the apartment and level of service needed. For more information on The Kenney, or to schedule a tour of their facilities, visit thekenney.org or call 206-937-2800. 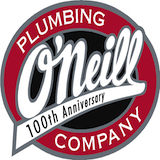 We thank The Kenney for sponsoring independent, community-collaborative neighborhood news via WSB; find our current sponsor team listed in directory format here, and find info on joining the team by going here. ALKI POINT PROJECT: 3220-3224 Alki Avenue SW is not a big site, but it caught some readers’ attention because of its prominent location where Beach Drive becomes Alki Avenue at Alki Point. The 97-year-old house above and a smaller building behind it were demolished earlier this week; only debris remained by Friday. City records show this site, purchased by a homebuilder for $1.2 million, will be redeveloped with two three-story, 2-unit townhouse buildings, each with three parking spaces (as required by the Alki Parking Overlay, one and a half spaces per unit). The site is zoned Lowrise 2. BEACH DRIVE ROWHOUSES: Two duplex buildings at 6003 SW Orleans, just off Beach Drive near Cormorant Cove Park, are proposed for replacement with six rowhouse-style townhouses, with six offstreet-parking spaces. It’s an early-stage proposal for a site that also is zoned Lowrise 2. That’s Seattle Channel video of today’s City Council committee meeting resuming consideration of HALA Mandatory Housing Affordability upzoning. The meeting was a refresher of sorts, including an update on city staffers’ progress working on a historic-resources addendum to the HALA MHA Environmental Impact Statement, as ordered by the city Hearing Examiner. It’s expected to be completed by the end of the month, councilmembers were told. (Here’s the slide deck from that part of the briefing.) The briefing also looked at potential amendments to the HALA MHA housing – those are detailed in this memo, along with a different type of amendments – proposed changes to the city comprehensive plan. Herbold and Mosqueda were not the only absences from today’s HALA meeting; also not there, Councilmembers Lorena González and Kshama Sawant. As Deb Barker detailed to the Southwest District Council last week (WSB coverage here), the council has a busy schedule of HALA-related meetings from hereon out – including Monday and Wednesday of next week (January 14 and 16) – with a final vote on the upzoning proposal expected in mid-March. Five years ago this month, Cottage Grove Commons opened at 5444 Delridge Way SW. In December 2013, homelessness was not as ubiquitous or contentious a topic in Seattle. But the 66-unit “supportive housing” building that has changed ~100 people from homeless to housed rose from a bed of controversy anyway. The building’s owner/operator, DESC (the acronymic name comes from its start as the Downtown Emergency Service Center), didn’t throw a five-year anniversary party nor send out an announcement. We noticed the five-year mark while looking through WSB archives for something unrelated. So we requested an interview with the organization’s executive director, Daniel Malone. We sat down with him and CGC project manager Colin Maloney recently. New on the city website today: The updated design packet for 3084 SW Avalon Way [map], planned as a 7-story building with 37 “small efficiency dwelling units” (microapartments) and no offstreet (vehicle) parking spaces. This project is going through Administrative Design Review, which means no public meetings, but you can send feedback to the project’s city-assigned planner, Joe Hurley, at joseph.hurley@seattle.gov. This is the second and final review phase for this proposal; you can find the first-phase report by going here. Shortly after work started on the 42nd SW site of the future Junction Landing apartment building, a new project plan has turned up next door. The 81-year-old house at 4411 42nd SW is proposed for demolition, with 4 townhouses and 4 live-work units to replace it. The city docket for the project describes it as “with parking” but doesn’t specify how much. The timetable is not yet (as of this writing) on the official city page for the City Council’s Select Committee on MHA. The amendments will be closely watched, as our area’s Councilmember Lisa Herbold noted at the meeting earlier this month that they could be a way to address some of the concerns that led to the appeal. The mayor’s announcement today of $75 million for “affordable” rental housing includes money for one West Seattle project that’s already been mentioned here multiple times, the new Transitional Resources apartments in the 2800 block of SW Yancy, not far from TR’s headquarters on Avalon Way. Back in September, TR’s CEO Darcell Slovek-Walker told WSB they’re proceeding with the project, saying they would soon be “submitting funding applications to develop up to 44 studio units in two buildings.” This city grant is apparently one result. The city announcement doesn’t include the specific award amounts but this Office of Housing document indicates TR requested $3.8 million. TR says the new building, replacing three old houses, “will serve adults in need of behavioral health treatment and support to live independently in permanent housing,” as with their other properties, which as of September provided housing to 85 people. Two months after we last checked on Upton Flats – the mixed-use development at 35th SW/SW Graham in High Point – its management has announced a “grand opening” event for this weekend. They’re inviting people to stop by for a look at the ~100-apartment complex Saturday or Sunday, 10 am-5 pm, and they’re promising beer and snacks. No confirmed tenants yet for the retail space, though; as we’ve reported previously, Seattle Housing Authority offices will occupy about 80 percent of the complex’s commercial space. 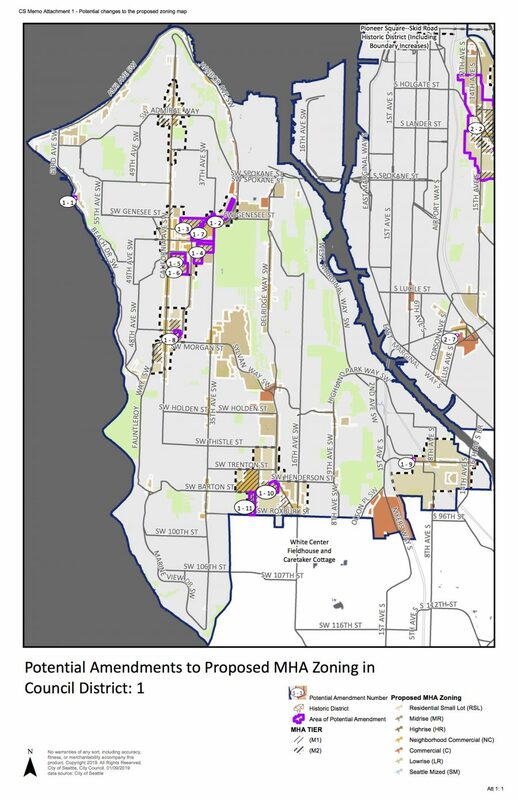 6:44 PM: One year after a coalition of neighborhood groups, including five from West Seattle, challenged the Final Environmental Impact Statement for HALA Mandatory Housing Affordability upzoning, city Hearing Examiner Ryan Vancil issued his ruling late today. Short version: He says the city’s FEIS stands, with the exception of one section. The neighborhood groups had argued that the EIS was inadequate in a variety of ways, including contentions that it was “one size fits all” rather than addressing unique potential impacts on neighborhoods. They argued their case in hearings over a two-plus-month period this summer; documents and audio recordings are all linked on this page of the Hearing Examiner’s website. The Hearing Examiner’s decision is the final word from the city but not necessarily the final say in the matter – the appellants could choose to pursue a court case. We’re awaiting their reaction to the ruling. We’ll be updating this story as the evening goes on. Indeed, hearing examiner Ryan Vancil chided the City for its lack of neighborhood-level analysis even as he largely affirmed its final environmental impact statement. “[T]he choice not to tell a more detailed story of the City’s neighborhoods contributed to why the City faced a very protracted appeal and hearing process from representatives in many of its neighborhoods,” he wrote. JuNO made those details the centerpiece of its appeal, pointing to what it called deficiencies in everything from traffic-flow analysis to conflicts between the HALA/MHA legislation and the neighborhood plan of the West Seattle Junction Urban Village. Guess said those deficiencies remain, despite today’s ruling. Guess said JuNO will study the examiner’s ruling more deeply, then meet with its neighborhood to talk through possible next steps. “Our neighborhood has been incredibly supportive throughout this process and we can’t thank them enough,” he said. As for next steps beyond that meeting, one possibility for JuNO is to lobby the City Council in the ritual horse trading expected to take place as the HALA/MHA legislation moves toward approval. Another is to join a nascent effort to create an organization representing neighborhood groups within City Council District 1, now represented by Lisa Herbold. “The City has destroyed a lot of goodwill in this process, and voters have very long memories,” said Guess. MoCA is proud to have joined with the communities of SCALE. We took a stand against the city that acted without properly taking into account the voice of its residents and the impacts of its plan. SCALE made a tremendous effort to identify MHA FEIS deficiencies, and we are saddened how easily that effort was dismissed. MoCA is committed to ensuring that affordable housing remains in our community. To that end, MoCA will be evaluating options to achieve that goal as well as those of SCALE. The MoCA and JuNO appeal documents were part of this 2017 WSB report. 11 am-6 pm Tuesday, November 13th, we’re opening a delightful new neighborhood, 22 modern townhomes close to West Seattle, Burien, and White Center! Greenbridge is a planned community at the center of the recent Southwest Seattle revival. We just made it more exciting with the debut of BDR Urban’s newest collection of modern, thoughtfully designed townhomes. These stunning homes are modern in style, packed with features and designed for both family life and entertaining. Imagine an in-city, brand new home, in an area with a quick commute to both Seattle and Sea-Tac Airport. And at a price you’ll find quite attainable! The Greenbridge planned community offers a variety of neighborhood and pocket parks, walking trails, playgrounds, and its own community center with shops, a recreation center, and brand-new library. More and more families are discovering the fun and style of Southwest Seattle’s many vintage neighborhoods, spacious parks, and walkable beaches. They are also discovering a unique blend of culture and style. Rich in history, Southwest Seattle is a group of neighborhoods welcoming new families, trend-setters, and cultural creatives who are all uncovering its many charms and are happy to call it home. We invite you to come visit and discover for yourself The Surprising Side of Seattle. Visit BDR Urban on the web at bdrhomesllc.com. We thank BDR Urban for sponsoring independent, community-collaborative neighborhood news via WSB; find our current sponsor team listed in directory format here, and find info on joining the team by going here. Eight months after getting thumbs-down on its first Early Design Guidance try, the 15-apartment Alki proposal for 3015 63rd SW (map) got thumbs-up tonight. The proposal went through some major revisions before returning to the Southwest Design Review Board. Seattle Department of Construction and Inspections‘ assigned planner Tami Garrett noted that since the project’s first turn at Early Design Guidance, the project team has said it will seek a contract rezone that would allow an extra floor plus incorporate Mandatory Housing Affordability. That will be considered in a separate process after this one. Board members present: chair Don Caffrey along with Crystal Loya, John Cheng, and Scott Rosenstock. ARCHITECT/PROJECT TEAM PRESENTATION: Oly Wise, representing the family that owns the site (see our original report here), opened by saying they’d learned a lot had changed since the project was initiated. They were pleased to learn about MHA and thought it would turn their project from good to great. He then made way for architect James Raptis.